The Saluzzo area is an extensive territory that traces the boundaries of the old Marquisate and extends from the mountains of Monviso to the fertile plains of the Po. The Marquisate dynasty governed for almost 500 years and saw a succession of marquises from Manfredi I in 1142 until the French occupation and the annexation to the Duchy of Savoy in 1601 with the Treaty of Lyon. Below is a selection of itineraries to discover the artistic, naturalistic and cultural aspects of the area while discovering charming traditions, beautiful landscapes and scenery of the area. Saluzzo’s medieval centre is one of the most important in Piedmont, it is located on a hillside and the narrow cobblestoned alleys and squares weave their way around the fifteenth-century “Torre Comunale” and “La Castiglia” (the Marquises’ castle). The Church of San Giovanni (14th-15th century) with the Marchionale Chapel, houses the tomb of the Marquis Ludovico II and is one of the most representative Gothic buildings of the period. The Civic Tower, about 48 meters tall, was built at the time of Marquis Ludovico I and is part of the historic municipal building, which occupies the corner between Salita al Castello and Via San Giovanni. Casa Cavassa (15th-19th centuries) is an example of a stately home, it was restored at the end of the 19th century and transformed into the Civic Museum, exhibits include furnishings, frescoes and paintings of the period including the "Madonna della Misericordia", attributed to the Flemish painter Hans Clemer, Maestro d'Elva. In the scenic Mondagli Square there is the house where Silvio Pellico, patriot and author of "Le mie prigioni", was born. Also born in Saluzzo, on the 16th of February 1740, Giovanni Battista Bodoni, engraver and printer famous for the typefaces that bear his name. The Cistercian abbey in Staffarda, nine kilometres from Saluzzo, is a complex of buildings that includes the abbey church, cloister, and a covered market. It was founded in 1135 by Manfredo I del Vasto (the first Marquis of Saluzzo), developed enormously in the 12th and 13th centuries becoming an important local centre for agriculture and holding a flourishing market. Building started on the church in 1150, was completed by 1210 and as a result of modifications over the centuries you can now see both roman and gothic style architectural elements. In 1690 the Abbey buildings were badly damaged during bloody clashes between the French army and the Austro-Piedmonts troops. 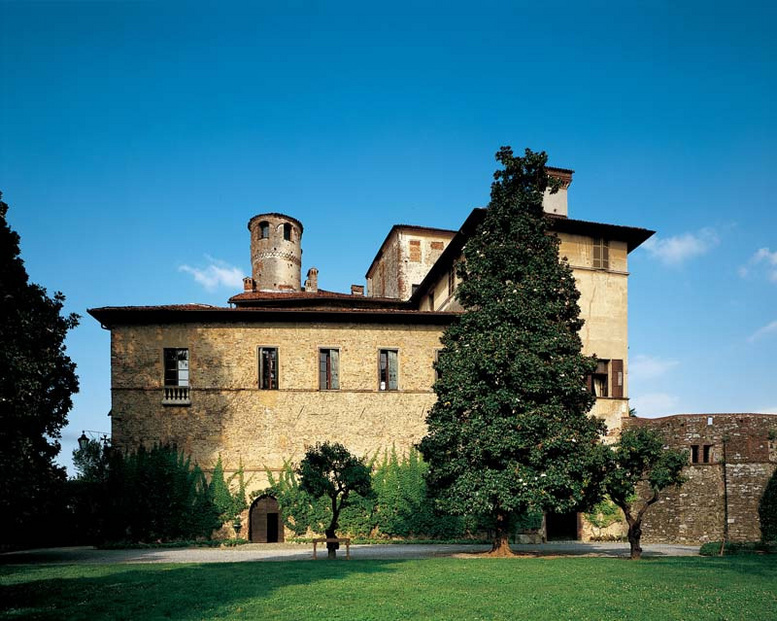 The Manta castle complex, now a FAI property, stands on a hill and is a 5 minute drive from Saluzzo. It is composed of a series of buildings that began as a 13th century stronghold; becoming an aristocratic residence in the 1500s enhanced by the elegant “Grotesque” hall and a gallery brimming with frescoes based on the epic-chivalric poem "Le Chevalier Errant" and the bohemian subject of the "Fountain of Youth". The castle in Lagnasco was owned by the Marquis Tapparelli D’Azeglio and consists of three different buildings that were built at the end of the XI century and developed until the XVIII century. Racconigi Castle, from the times of Charles Albert through to the fall of the monarchy in 1946, was where the Royal family would spend its holidays. This imposing castle, built by Guarini for the princes of Carignano, is surrounded by a majestic park the work of the garden designer Xavier Kurten and one of the most important examples in Europe of the sensitivity to nature and scenery that prevailed during Romanticism. Visiting the Castle of Racconigi now means not only re-experiencing the luxuries of the House of Savoy by seeing the original furnishings and the splendid collection of portraits but also provides the opportunity of strolling through the park with it’s glasshouses, out buildings and nesting storks. The Royal Palace of Turin was built in the 16th century and following a succession of renovation works made over the centuries (1700s Juvarra and Alfieri and in the 1800s Palagi), the Royal Palace is a unique example of how different architectural styles can live in harmony. The elegance of the 17th century facade and the splendour of its numerous, richly furnished rooms, reflect the luxurious life at the Court and reveal the centuries of history of the House of Savoy. The palace also includes the Palazzo Chiablese and the Chapel of the Holy Shroud, the latter was built to house the famous Shroud of Turin. 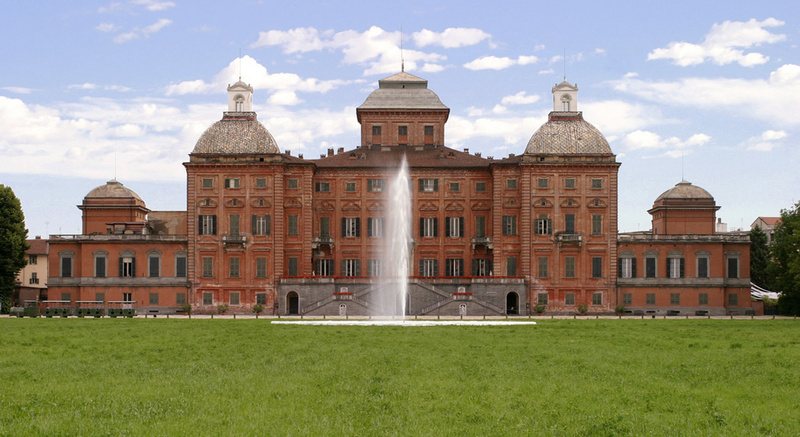 La Venaria Reale is a grandiose estate situated just outside Turin, it is a natural and architectural masterpiece that was declared part of the World Heritage by UNESCO in 1997. It boasts some of the finest examples of universal Baroque: the elegant Hall of Diana designed by Amedeo di Castellamonte, the solemn Great Gallery and the Church of St. Hubert, the imposing complex of the Juvarra Stables designed by Filippo Juvarra in the 18th century. The sumptuous decorations and the spectacular Fountain of the Stag in the Court of Honor provide a unique setting for the Theater of History and Magnificence, a permanent display devoted to the House of Savoy. The estate started as a hunting lodge, was transformed into a Palace and a royal court and with the arrival of Napoleon and his troops became a military garrison before its disastrous decline and subsequent recent renovation. The Po valley leads up to Pian Del Re where you can find the source of the river Po, the longest in Italy, and from where numerous mountain paths start, leading to mountain huts and the Hole of Viso, the first tunnel in the Alps that put the Marquisate in communication with the Dauphine of France. At the beginning of the valley, in Revello, you can visit the Marquis chapel and the Collegiate church. The Varaita valley that finishes with the Colle dell'Agnello (m.2744), a mountain pass open in the summer months, that allows the descent into France. 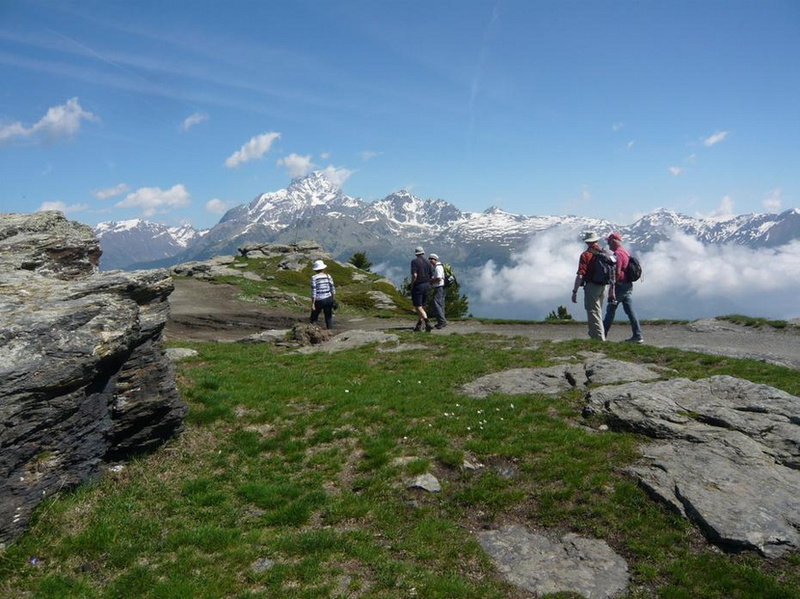 Along the route there are precious devotional testimonies such as the alpine churches of Rossana, Venasca and Sampeyre. Towards the end of the valley there is the artificial lake of Pontechianale and the pretty alpine village of Chianale. The Maira valley is the most unspoilt. It can also be reached via the Sampeyre pass from the Varaita Valley which gives you the opportunity to visit the church in Elva which has lovely frescoes by the flamenco painter Hans Clemer. The source of the river Po, a short 1-hr hike from Pian della Regina. The Buco di Viso, about 3 hour hike from Pian Del Re to reach the first tunnel in the Alps. The tour of Monviso, route around the Monviso mountain also on the French side. The Alevè, the largest pine forest in the Alps. 1 hour hike. "Laghi Blu”, a round tour passing pretty alpine lakes. 2 hour hike. "La Chiaronto" an adventure park in Frassino with Tibetan bridges and hiking trails. "Percorsi Occitani" 117 km of alpine routes divided into 15 stages that allow you to visit the entire valley. Downhill Skiing: Crissolo in the Po Valley; Sampeyre e and Pontechianale in the Varaita Valley. Cross-country Skiing: Crissolo in the Po Valley; Sampeyre, Casteldelfino, Bellino and Valmala in the Varaita Valley; Marmora, Prazzo, Chiappero and Acceglio in the Maira Valley. Ice fall climbing in Pontechianale (Valle Varaita). Colle dell’Agnello (2748 mt) between the Valle Varaita and the valle del Queyras in France. Monviso e Pian del Re (2020mt) the valley’s end with the source of the Po at the foot of Monviso. Colle Fauniera (2481 mt) between Valleys Maira, Grana and Stura. Colle della Lombarda (2351 mt) between the Valle Stura and the Vallée de la Tinée in France. Circuit Saluzzo – valle Stura – colle della Lombarda – col de la Bonette – colle della Maddalena. Circuit Saluzzo – valle Varaita – colle dell’ Agnello – col de l’ Izoard – Briancon – Monginevro – Sestriere – Pinerolo. Circuit Saluzzo – valle Varaita – colle dell’ Agnello – Guillestre – col du Var – colle della Maddalena. Circuit Saluzzo – valle Varaita – colle di Sampeyre – valle Maira - Marmora – valle Grana - colle d’ Esischie – Demonte – Valdieri – Cuneo.